You have selected the Transcended Souls CommUNITY membership level. 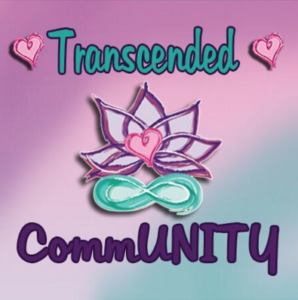 The Transcended Souls CommUNITY is a social group designed to provide a spiritually centered environment to heal, grow and prosper. Created with the knowledge that mind, body and soul is best nourished as one, we will connect to spirit and each other as we unravel personal, professional and life mysteries. Through meditation, energy healing, topics on inspiration, business, health and masterminding, we will tap into that feel good vibe that will allow us to create and manifest great things. Through positive, solution focused thinking and joining together, we will transform our thoughts, transcend our way of life and attract the life we desire and deserve with ease and grace. The three pillars of our community are CONNECTing through business lunches, fun socials, blissful retreats and meaningful friendships, CREATing through weekly Mastermind calls that will keep you motivated, accountable and inspired as you create the life you desire and deserve and PROSPERing by providing a spotlight for our members to shine in. Members have the opportunity to be a guest on the Transcended Souls “Conversations” show, to speak at our luncheons and to lead workshops at the socials we put together. The benefits of meditation are far reaching and immeasurable. Enjoy a wide variety of guided meditations that have hypnotic deepeners that will allow your subconscious mind to receive the messages of abundance, health, wealth and well-being that are weaved into these relaxing recordings. Many have a theta binary sound in the background to offer a healing energy to flow through you as you enjoy this time you will be gifting yourself. With full access, you can enjoy any of the meditations any time. Look for new meditations to be added each month. Learning is easy with the Vault of Knowledge. Experts speak on topics such as leadership, social media strategies, increasing sales, health, creating a following, your financial wellness and more. These recordings are available to you can learn and grow from any of the topics that you would use a guru’s advice on anytime you please when you have full access to the Vault of Knowledge. Our Transcended Souls Conversations teleconferences will be recorded and added to the library each month so you have access to the latest information on how you can build your business and your best life! We will support you, spotlight you and build you up to your greatest potential. To transcend is to rise above; to exceed any limitations or boundaries. You have an unlimited field of possibilities in your soul. Together we can nurture your passions and watch you and your dreams thrive! You deserve this! Join us now.